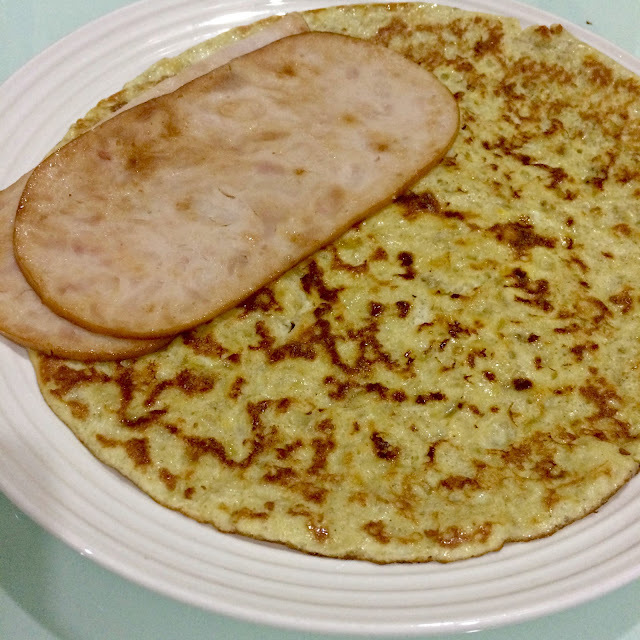 Through My Eyes: Banana & Egg Pancake. It was one of those days when I was at home with no one else and decided to cook something for supper. Not because I was hungry, but because I just needed to do something other than watching Devious Maids on Star World. The recipe is super simple. I wasn't too sure so I googled some more. 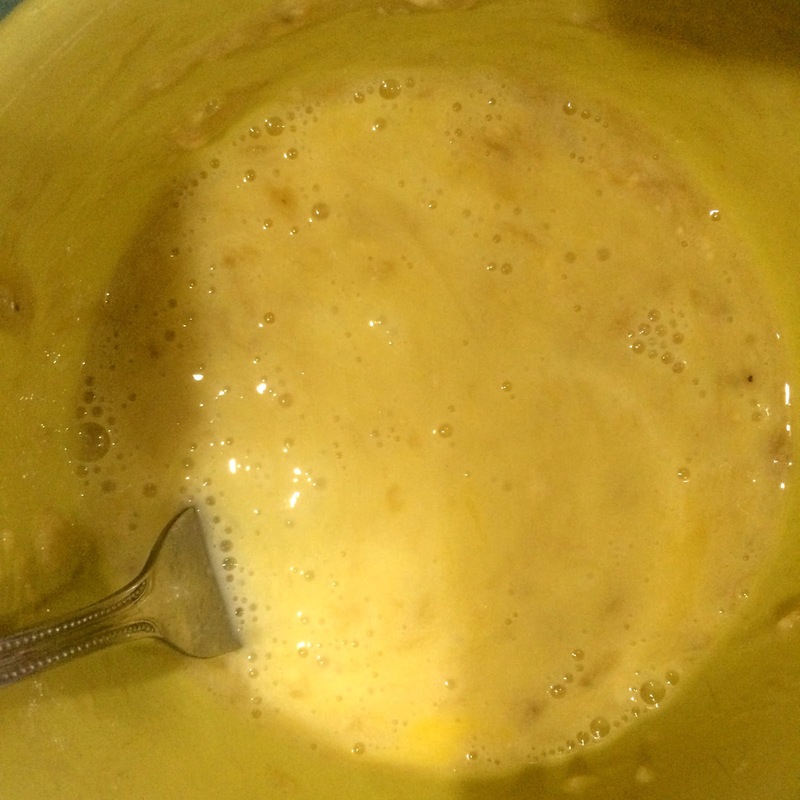 Apparently, if you like your pancakes to have certain flavors, you can add them into the mixture. Flavors like coconut or cinnamon. Step 1: Gather the main ingredients. 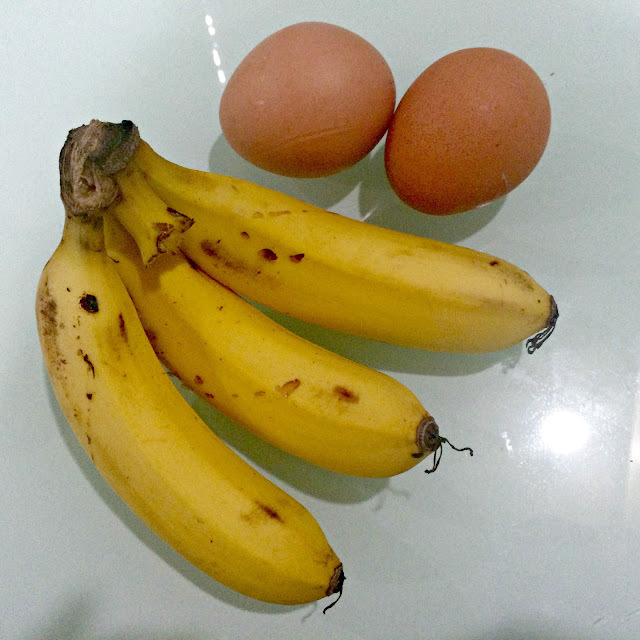 Two eggs and one banana is for one person's portion okay. 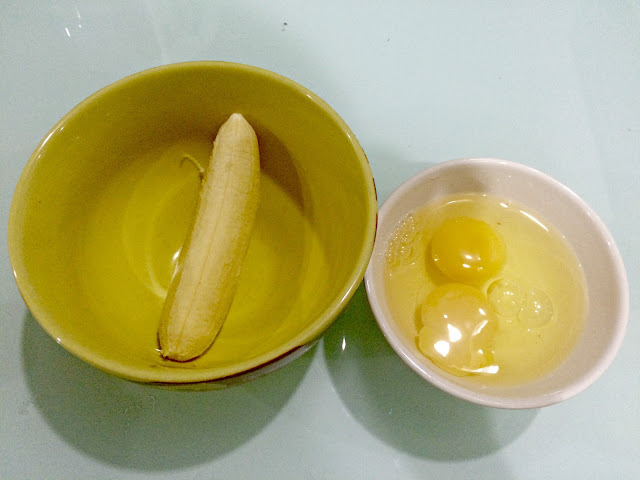 Step 2: Peel the banana and put it in a bowl for easier mashing and crack two eggs in a smaller bowl for easier pouring later. 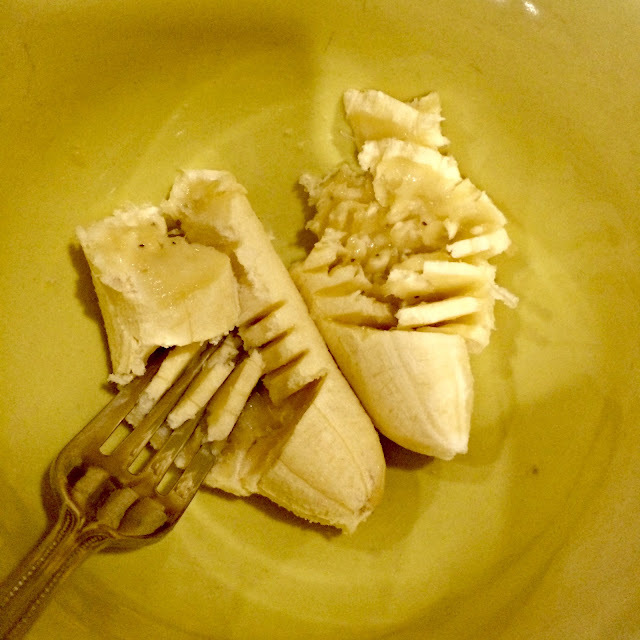 Step 3: Mash the banana with a fork or any other fancy equipment that you think could do a better job. 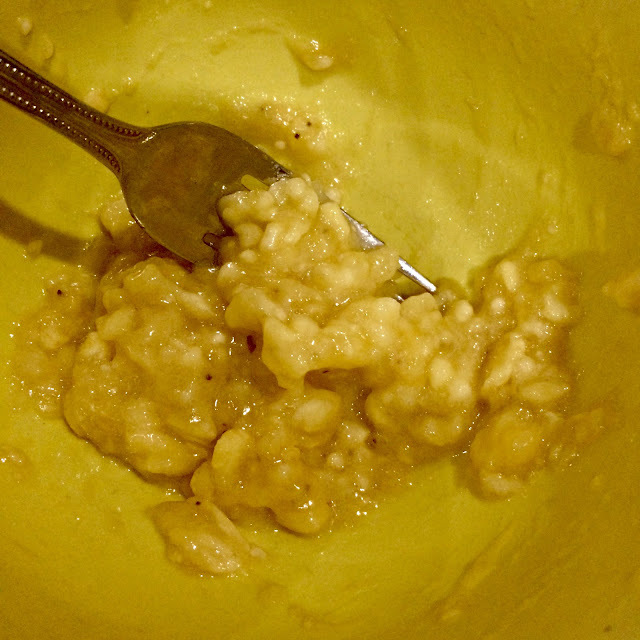 Step 4: Once it looks pretty mashed up, you can either stop or mash some more, depending on how you like your pancake to be. More lumpy or smooth. 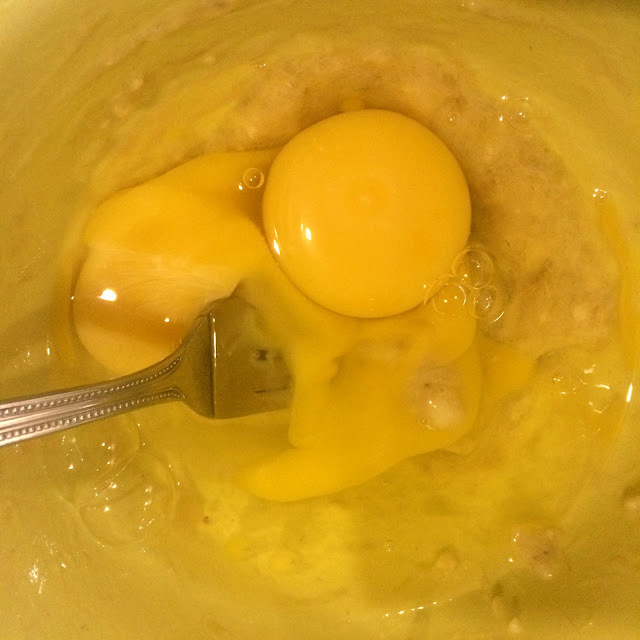 Step 5: Then, you pour in the two eggs and mix them together until they look like a pancake batter. 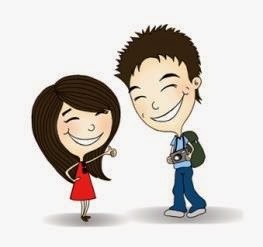 Something that looks like the photo. Step 6: Get your flat (NON-STICK preferable!) 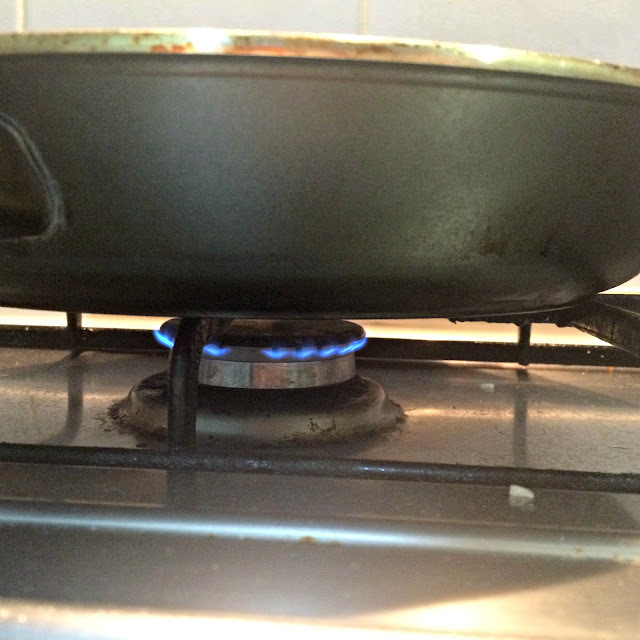 pan heated up. If you like, you can pour some olive oil onto it. I did. Heh. Make sure the fire is small okay. 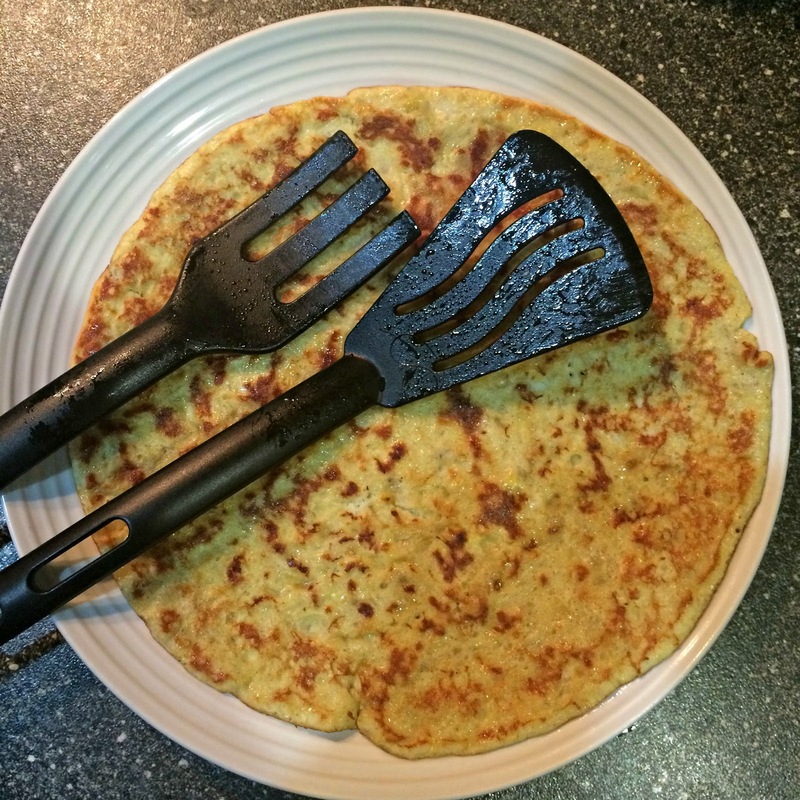 You don't want to have burned pancake with the insides still raw. Step 7: I wanted some flavor so I went and searched in mom's cabinet and found this goodness. No specific measurement for how much cinnamon to put it. It really depends on your instinct (HAH! ), and according to mine, I should have poured in more of the powder. Step 8: Once the pan is hot (put your palm over-on-top (NO DIRECT CONTACT) of the pan and if it's feeling pretty hot, then your batter is ready to be poured in. Step 9: Wait a while more and do a few peeking underneath to see if its started to brown. 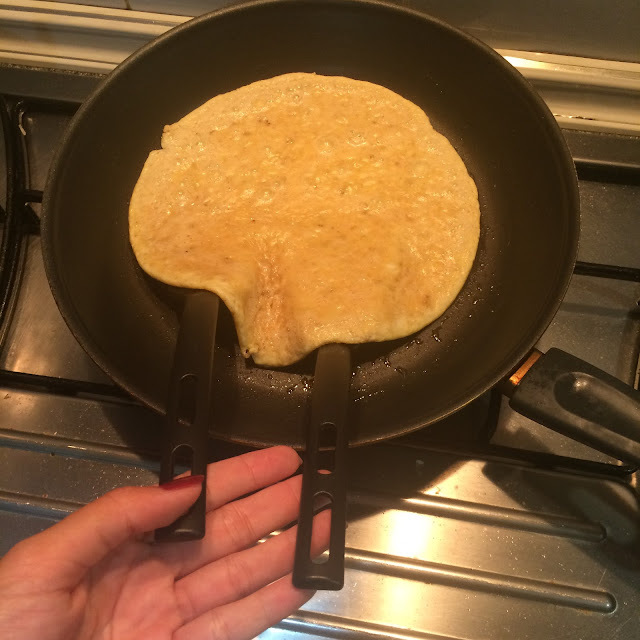 If yes, then can turn the pancake to the other side. Since I want it to be perfectly round, I used TWO spatulas and a whole lot of minutes to make sure it doesn't break halfway. 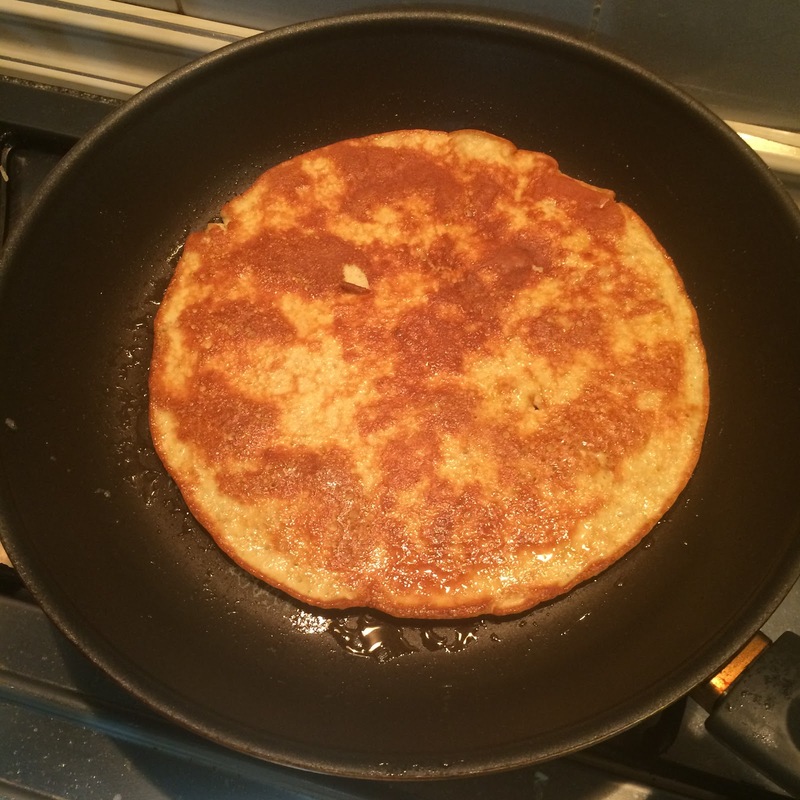 Step 10: Once the pancake has your favorite shade of brown, you may now remove it from the pan and place it on a flat plate. Step 11: You actually can already eat the pancake, but I wanted something else to eat it with (just in case if the pancake is horrible!) 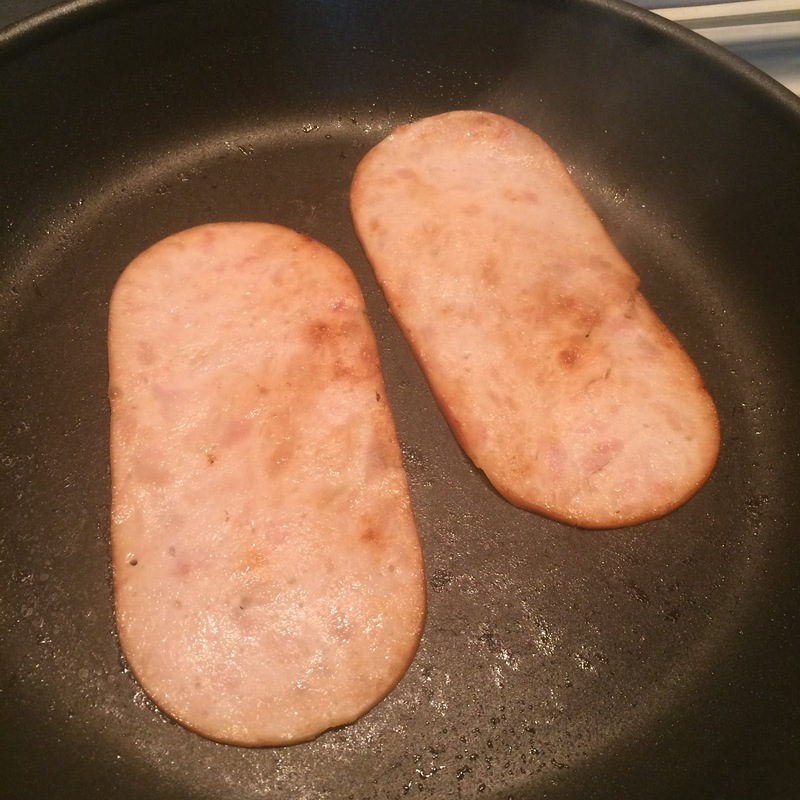 so I decided to warm up two slices of chicken ham on the same pan. 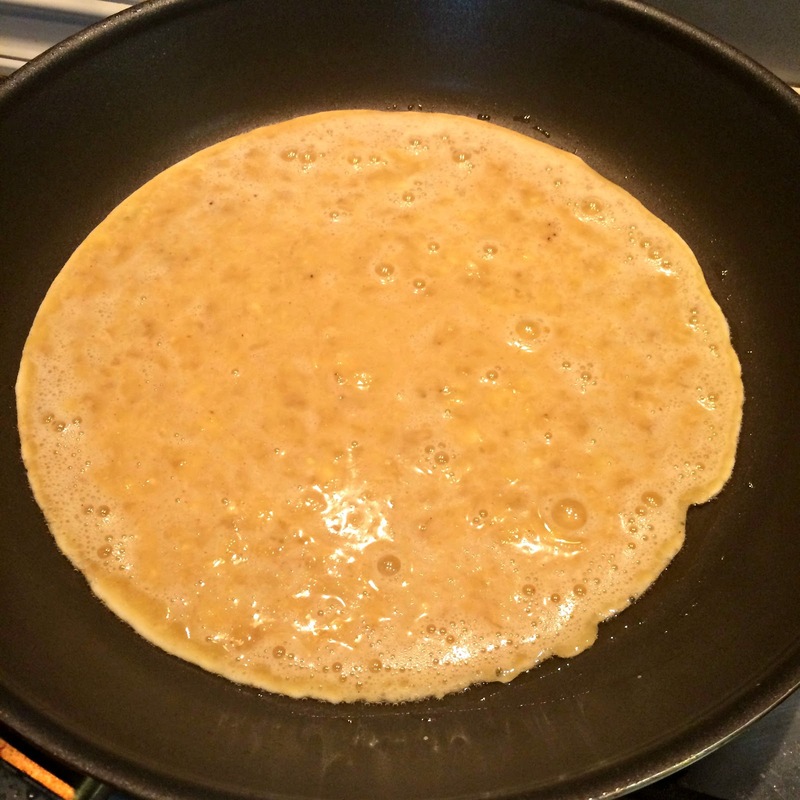 Step 12: Take the first bite of the pancake with no other food. Well, it tasted blehh. 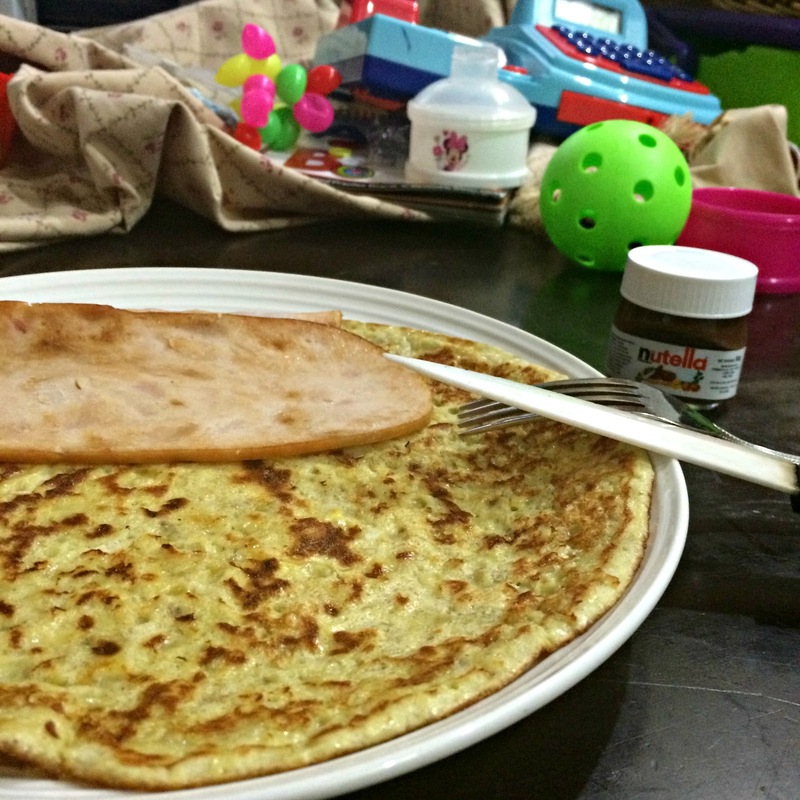 Cannot taste the banana or the egg or the cinnamon.The texture of the 'pancake' is odd. Step 13: Thank God for the two hams and Nutella spread! Step 14: To be honest, even with both of that, I couldn't finish the pancake. It was tasteless. It was boring. It was just blehh. Taste your bananas first. If it's not THAT sweet, then ADD sugar into the mixture. 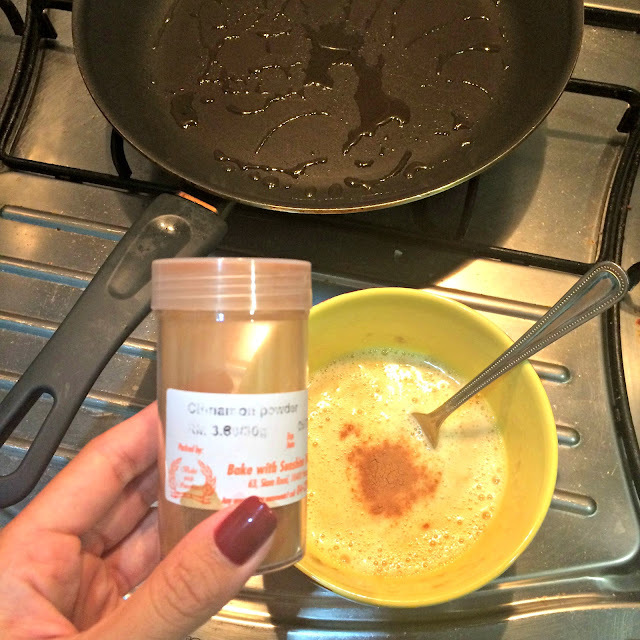 If you want to put in cinnamon or coconut powder for the flavor, PUT MORE THAN WHAT YOUR INSTINCT TELLS YOU. 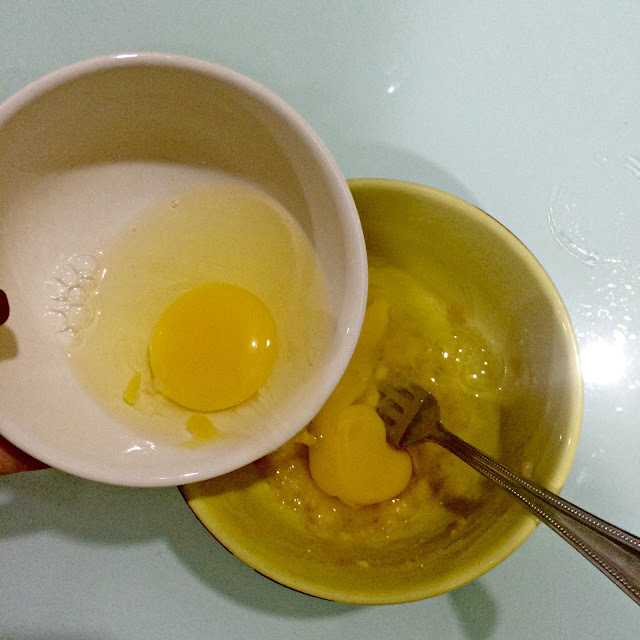 Cook the batter in FEW batches. Don't be lazy like me and pour all of it into one big round pancake. 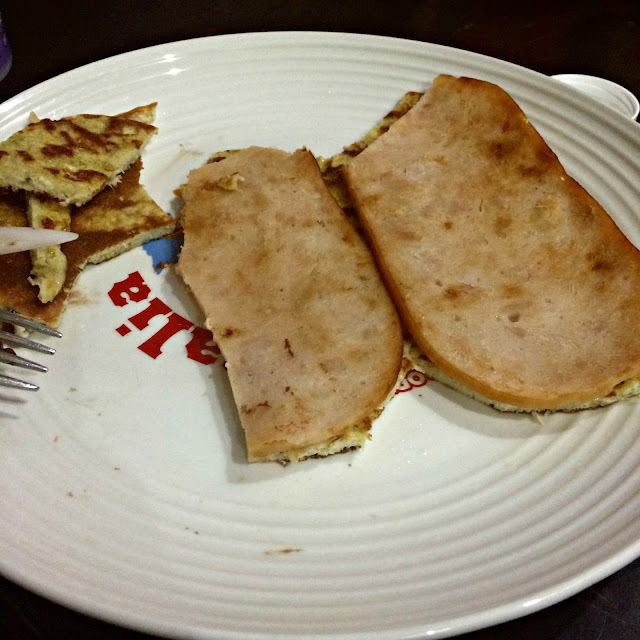 If you're hungry and feeling really lazy to cook other things, this could be a good pre-sleep meal. Not fattening at all. Just remember to ADD THE SUGAR! Okay, that's all for today folks.